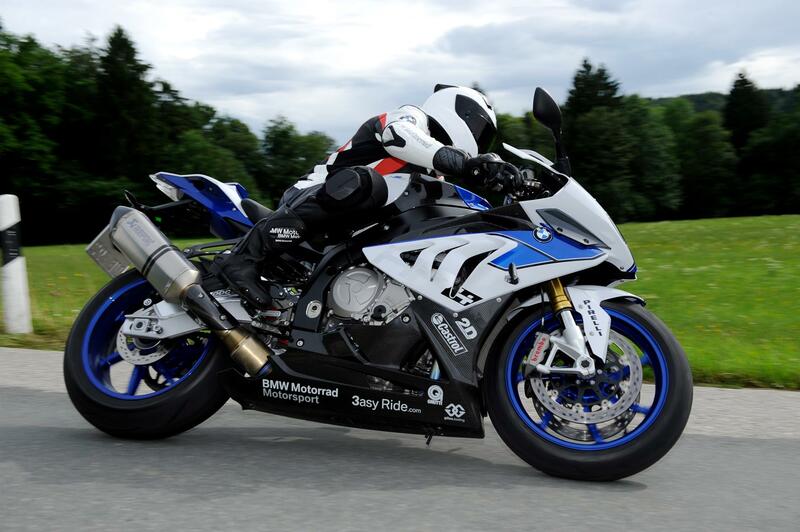 BMW has become the first manufacturer to launch cornering ABS for a sportsbike which will available as a retro-fit option on the S1000RR HP4 from October. The new system is called ABS Pro and it’s expected this will be the first of many models being offered with the Bosch-developed ABS system that works to stop the bike crashing even when hard braking is carried out while the bike is leant over and cornering. For some unknown reason BMW hasn’t actually told anyone about the launch of cornering ABS on the HP4; it merely put the information on the press website but didn’t make an official announcement. KTM was the first manufacturer to launch cornering ABS on the range-topping KTM 1190 Adventure R earlier this year; also available as a retro-fit option on bikes already sold. MCN understands lots of other manufacturers are working on making the system work on their bikes but the time it takes to set it for individual bikes is immense as it needs to be specifically tailored for each bike. BMW states: “The function was deliberately conceived for use on public roads, where unexpected dangers can always potentially lie in waiting. While the Race ABS in the HP4 already provides a very high degree of safety when braking in a straight line, ABS Pro now goes a step further to offer increased safety when braking on bends as well. Here, ABS Pro prevents the wheels from blocking even when the brakes are applied quickly; this reduces abrupt changes in steering force on shock-braking manoeuvres and stops the motorcycle from rearing up unintentionally. “ABS Pro adapts ABS control to the motorcycle's banking angle depending on the current situation on the road. In order to determine the bike's banking angle, the system draws on the signals for roll rate, yaw rate and transverse acceleration as provided by the sensor cluster - which are already used for Dynamic Traction Control DTC and for the electronic suspension DDC Dynamic Damping Control. “As the banking angle increases, the brake pressure gradient is limited more and more at the start of the brake manoeuvre. This means that the pressure build-up is slower. In addition to this, pressure modulation within the ABS control range is more even. The benefits of ABS Pro to the rider are a sensitive response and a high level of brake and ride stability together with the best possible deceleration on bends. BMW is making it clear this is not a system developed to help in racing or for more experienced riders on track. The ABS Pro function can also be used in the "Rain" and "Sport" modes by less experienced riders so as to achieve significantly increased safety when undertaking their first rides on a race track. 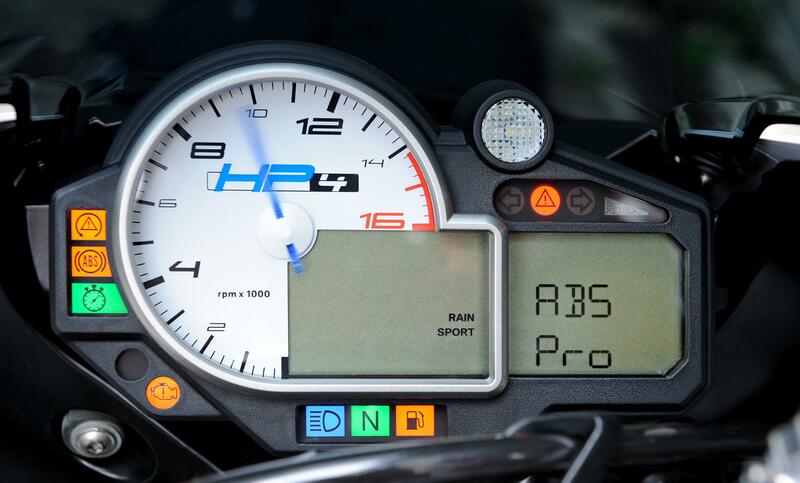 The ABS Pro function is available as a retrofit solution for the BMW HP4 from the end of October 2014 at the price of € 380.00 which is the German price. We would expect it to cost around £350 in the UK; the same at the KTM price.